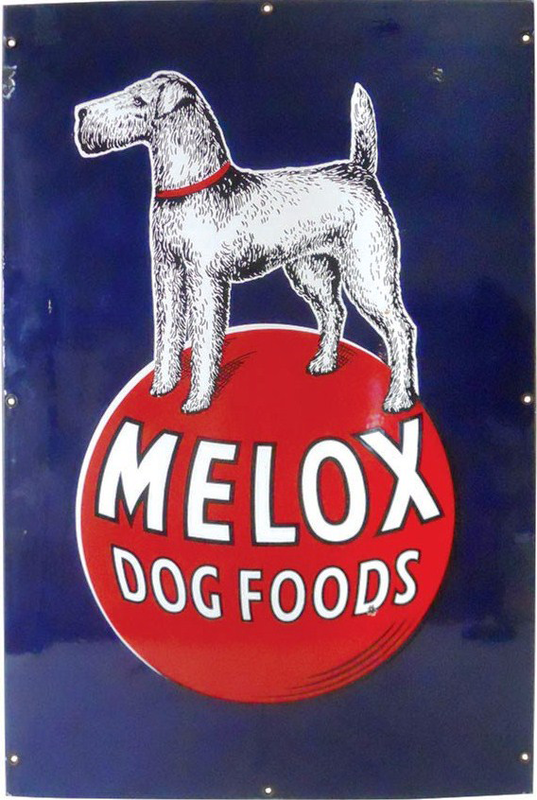 This is a die-cut Melox Dog Foods porcelain sign. This particular Melox Dog Foods sign features a dog balancing on top of a red ball with white text. It reads, “Melox Dog Foods”.